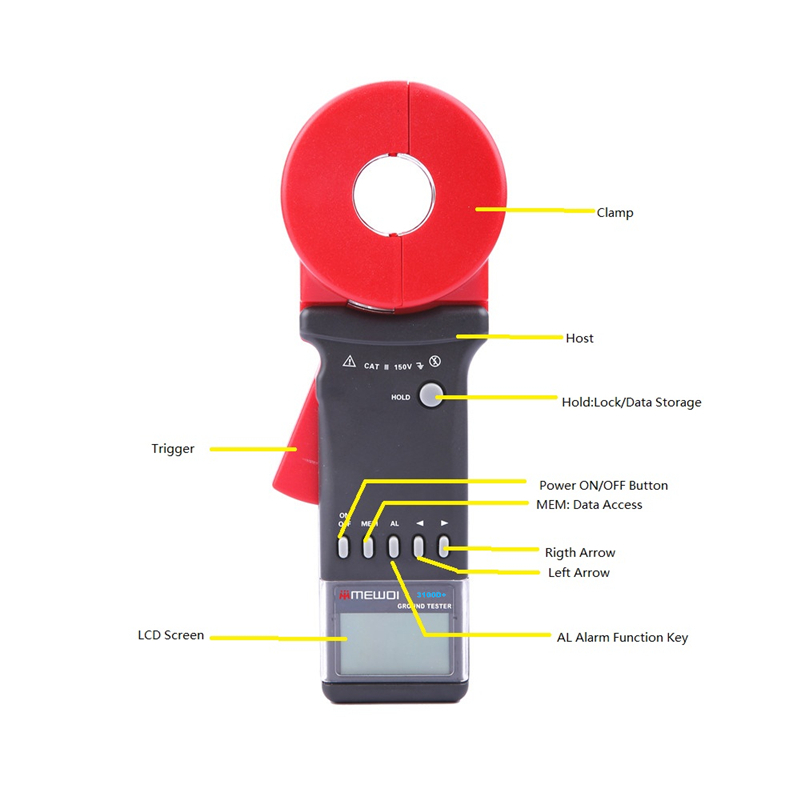 MEWOI3100D+ Clamp Earth Resistance Tester is widely applied in ground resistance measurement, loop resistance measurement in fields such as electric power, telecommunications, meteorology, oil field, architecture and industrial electrical equipment, etc. 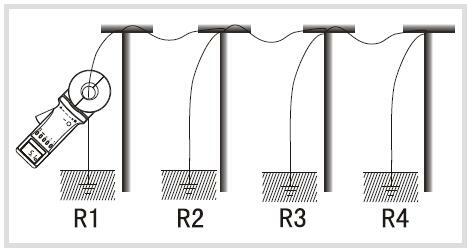 When measuring ground system with loop, there is no need to disconnect the ground wire without auxiliary electrode, which means safer and faster. MEWOI3100D+ Clamp Earth Resistance Tester can measure the ground fault which can not be measured by traditional method, can apply in the occasion where traditional methods are unworkable; MEWOI3100D+ Clamp Earth Resistance Tester measures the integrated value of ground resistance and resistance lead. What’s more, MEWOI3100D+ Series tester can measure the leakage current of ground wire. “Beep-beep-beep” alarm tone, Alarm Symbol Flashing, Press AL key to turn on, turn off Alarm or set Alarm Threshold. 2/3/4-wires,selection & dual clamp method to measure the earth resistance,soil resistivity,earth voltage,AC voltage,AC leakage current,warning function.